Home > Services > Articles & White Papers > Product brands and the circle of life, when is it time to pull the plug? Product brands and the circle of life, when is it time to pull the plug? 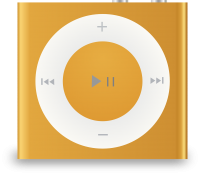 Apple kills the Nano and Shuffle brands—these two little devices were part of the iPod family of products. They had great value as highly portable, lightweight music-listening equipment, plus some other features, and were relatively inexpensive. But Nano and Shuffle have become victims of their big brother, the iPhone, which, of course, does everything they can do and much more. Making its own products obsolete is something Apple does well in its constant push for innovation. While they could probably make a little money by sustaining these products, they recognize that they can make more by focusing on the next cool device. GM evaluating the future of several brands—the Chevrolet Volt hybrid, Buick LaCrosse, Cadillac CT6, Cadillac XTS, Chevrolet Impala and Chevrolet Sonic are all under consideration to be dropped from the product line. The LaCrosse, the CT6, and the Impala are all in the stagnant category of full-size sedans, which account for less than 2 percent of overall industry sales. The Volt is a bit of a surprise since hybrids are seen as having growth potential. GM’s decision-making process is unlike many industries in that their employee unions are heavily involved in the negotiations to close or reduce manufacturing at any given plant. So, some of what GM is doing could be posturing for union negotiations. And, even if one or more of these brands are eliminated, carmakers have a way of bringing back nameplates in future years. These brands never go away completely, they just get put in the back of the garage. Coke Zero gets a formula change and a name tweak—Coke announced in July that they are changing the name of Coke Zero to Coke Zero Sugar. But it’s more than a name clarification. “We’ve made the great taste of Coke Zero even better by optimizing the unique blend of flavors that gave Coke Zero its real Coca-Cola taste,” they said in a release posted on their website. In the same post, they state that they are making this change even though Coke Zero sales have been growing. Does this remind anyone of anything? (Like introducing “New Coke” when the original Coke was doing fine?) Buick can add cup holders, a new fuel injection system, and satellite radio to its latest model and customers will applaud. But, when a soft drink manufacturer changes the formula of a product, they risk customer rebellion. So far, there hasn’t been a big backlash, just typical social media muttering. However, Coke is at risk of fixing something that ain’t broke. Killing a brand is a complicated process that involves many factors, some measurable, like the cost of sustaining marketing, maintaining shelf space and continuing manufacturing. Other factors are much more subjective, like changing a brand ahead of a trend, or negotiating with a union to save jobs. Of the examples here, Apple probably had the easiest decision. GM is treading carefully. And Coke may have made a smart move, or may have out-smarted themselves. Again.